Gratitude means being thankful for the things you have in life, no matter how insignificant they might seem to appear. Optimism, on the other hand, means being hopeful that good things will happen in the future. 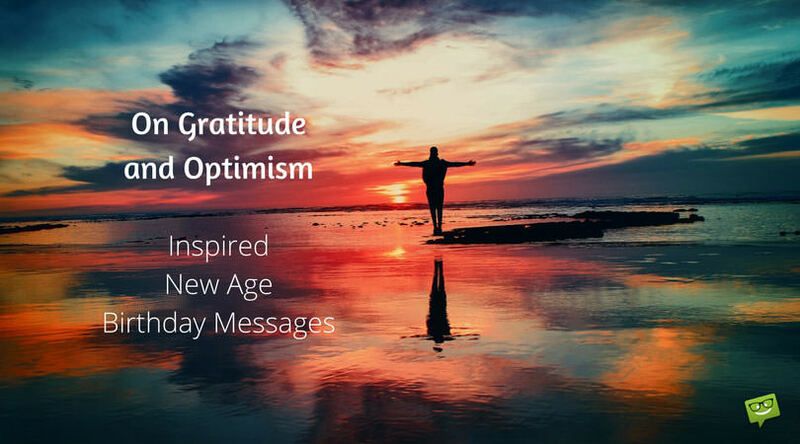 Both gratitude and optimism come with numerous advantages which play mighty roles in improving a person’s life such as making them happier, less stressed, healthier, and more resilient. It is for some of these just mentioned reasons that the average person who is optimistic and grateful tends to be happier and healthier than the average person who isn’t. 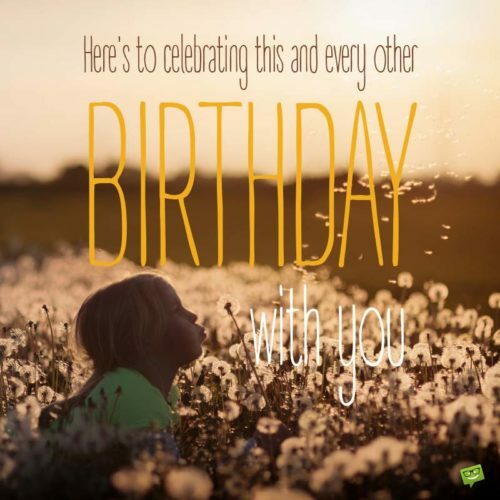 Knowing the great importance of optimism and gratitude, we have compiled a fine list of some highly inspirational birthday messages on optimism and gratitude that you can send to a family member or a loved one celebrating their Big Day. It is our hope that having send them these messages, they will begin being more aware of the blessings and good things that are already present in their lives and become practitioners of gratitude and optimism so as to enhance the quality of their lives. 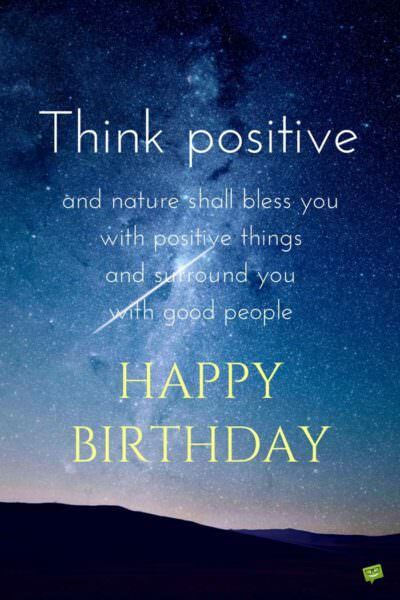 Sending any of our highly inspirational and positive birthday messages below to a birthday celebrant that you know could just be one of the best gifts you could ever give that person. Every day has its own memories, but on this special day there will be unforgettable memories of love, peace and joy. Forget about all your troubles that come your way and focus on the good things in your life. Have a beautiful day, and remember to never stop being positive. Happiness will never elude you if you begin each day appreciating the countless priceless gifts that life has blessed you with. Happy birthday, my dear. On your birthday, I wish you beauty, love, joy and blessings in the years ahead. Life is beautiful. Every day you wake up from sleep, endeavor to dwell on nothing but the beautiful things of life. May you be blessed with the strength to squarely face all the troubles that come your way. Have a joyful day. Happy Birthday to you, my special one. As you commemorate this great day, know that life has opened a new chapter for you. May your most treasured dreams take shape before your own eyes. And remember to always journey through life with optimism and gratitude as you companions, for they shall always lead you to happiness. Each day brings with it its own beauty. Today will mark a new beginning in your life. May you always begin each day of your life with a heart full of gratitude because that is the key to happiness and peace. 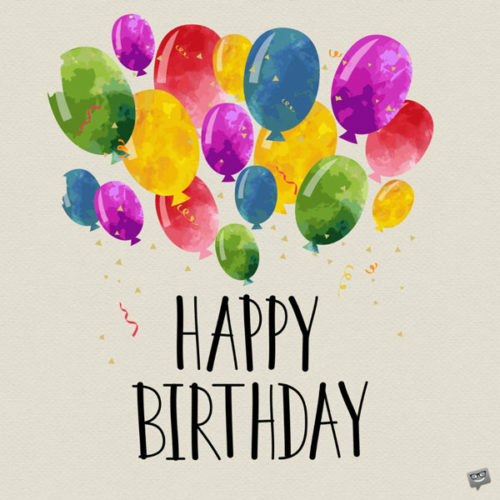 Have a fantastic birthday, my dear. Sending special happy birthday greetings to a very phenomenal person. I wish you all the good things that life can provide. May you always move through life with a grateful heart and an optimistic mind so that happiness always surrounds you. Happy birthday. Happy birthday, dear. Wipe away all the sadness in your life and embrace happiness. Today, I wish you laughter and happiness that have no end. May your level of gratitude and optimism in life be higher than Mount Everest. Have a beautiful celebration. Happy Birthday. May your most treasured dreams take shape before your own eyes. May today drive away all negativity from your life and usher you into the warm embrace of positivity, hopefulness and happiness. May you always have a reason to believe in yourself. Enjoy your day. As today is your birthday, may you be thoroughly blessed. May all the things around you keep inspiring you to achieve all the goals that you have planned to achieve in this life. May you forever be optimistic and grateful, for these are the keys to contentment and cheerfulness. Enjoy your Big Day to the max. Count your life with smiles, and your age with joy. 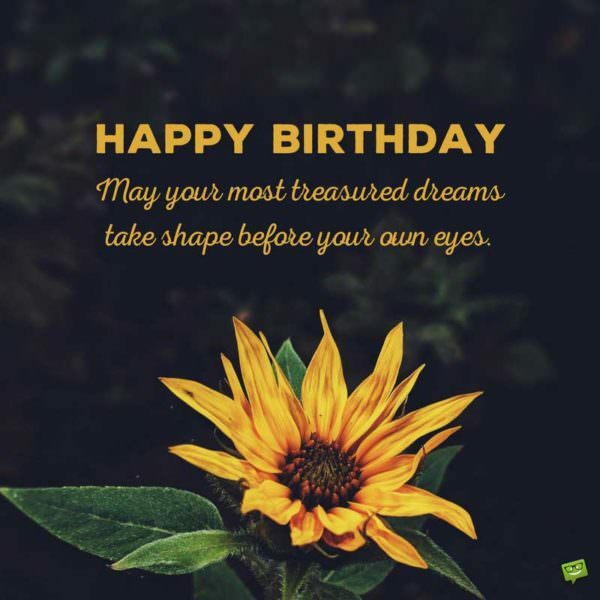 On your birthday, know that no one is too old or too young to achieve their dreams. May life bless you with the gift of gratitude and optimism. Happy celebration. May all your days of your life be filled with optimism and confidence in the future. Keep staying positive and I promise you that good things shall never stop finding their way to your door. Happy birthday. Your previous years may have been tough, but this year isn’t going to be the same. This year, there will be a positive turnaround in all spheres of your life. Don’t worry your beautiful life away, my dear. Just think positive all the time. With positive thinking everything is possible. Happy birthday. Today is your Big Day, and I want you to start this beautiful day with gratitude and hope. My prayer for you today is that you will always be optimistic and thankful for all the things in life that you have been blessed with. Believe that life will always be better, and it will. Happy birthday. A great hero was born today. My dear hero, always think positive and count your blessings. As long as you do this, you will shine where others can’t. Happy birthday. Happy anniversary. Wish you long life and prosperity. No matter what you are going through now, believe that things will be better in the end. If things don’t get better, then it isn’t the end. And don’t forget to be thankful for all the things life blesses you with on a daily basis. Since life is too short to be negative, let every blessed day be the happiest day of your life. And never forget that optimism always leads to prosperity, strength, and most importantly happiness. Enjoy your new age with lots of blessings from all the powers that exist in this universe. Even if it appears you haven’t got anything in life, be happy today because you have the most priceless thing in the world – life. Put a smile on your face and believe that everything is possible with self-belief, determination, courage and confidence. All shall be well with you. 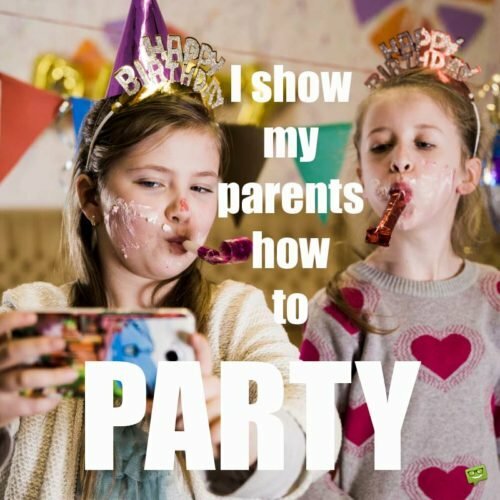 Enjoy your birthday. Just believe that you are a star and you shall forever shine as bright as a diamond in the midnight sky. Keep seeing the good things in life and believing in yourself and you shall keep shinning, dear. Happy birthday. Just as the river will always flow to the ocean, may blessings of the universe forever flow into your life. And always know that no matter how unpalatable the situations you come across may be, life always has a way of making these things tolerable and temporary. There is always light at the end of the tunnel. Happy birthday. Think positive, my dear, and nature shall bless you with positive things and surround you with good people. Happy birthday. Think positive, my and nature shall bless you with positive things and surround you with good people. Happy birthday.